Committed to earning your trust by providing exceptional service. Reliable service and quality repairs. Storage for your RV, boat or trailer. We offer a full range of automobile repair and maintenance services. Elite RV & Car Care is your professional, hometown, one-stop shop for everything automotive. We service various makes and models of cars and trucks. Not only are we a full automotive maintenance and repair shop, we also specialize in RV maintenance and repair. Call for an appointment today! We’re highly rated, and pride ourselves in great customer service. At Elite RV & Car Care, we offer everything from oil changes, tire rotations, fluid flushes and checks, brake service and inspections on your vehicle. Learn more! Protect your recreational vehicle with regular checkups and fluid changes. Let the Elite RV experts help. From RV storage to routine maintenance and repairs, we handle it all! 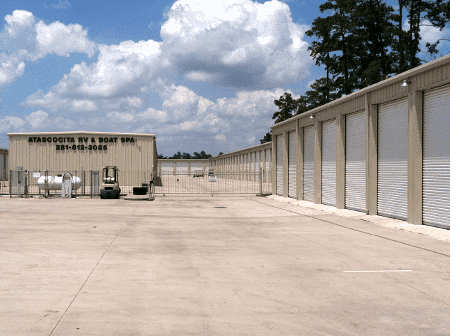 Our RV, Boat and Trailer storage units are better, wider and cleaner. Learn more about our facility’s awesome features by clicking here. Reserve your storage space today. Is your check engine light on? 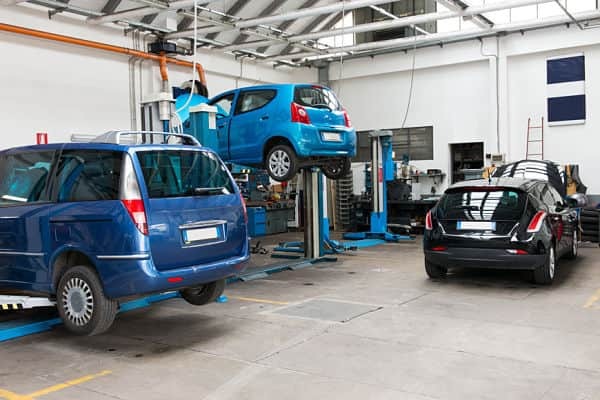 Our experienced auto repair technicians are experienced across a full range of auto repair services and proudly serve vehicle owners located in Humble, Atascocita, and Kingwood areas. 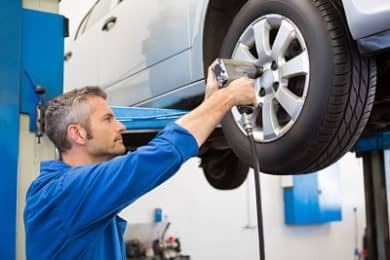 Whether you need your tires balanced and rotated, engine diagnostics performed or a comprehensive vehicle inspection before a long trip, our experienced mechanics will tend to your every need and carefully recommend the best possible option to ensure your safety and complete satisfaction. "After reading all of the great reviews, I decided to give'em a try. I was in need of a trustworthy mechanic. I have nothing but praise! They were very professional. Mark was super helpful & he kept me up to date over the phone with every step of the process. Thank you Elite Rv Car Care!" "Not only great car service but also great customer service. I brought my car in and they fixed a problem another shop couldn't. I was a first time customer and will definitely be a returning one too." "Elite always goes out of their way to take care of my RV issues. I have had major roof repairs as well as maintenance done with great results. I would highly recommend them for any of your RV issues." "Carl and his team are FANTASTIC! It’s always a difficult to trust someone with your vehicle but he makes it easy! He is someone you instantly trust and feel comfortable allowing to work on something as important as your vehicle! He just replaced my battery, brakes and rotors, and gave me an oil change for a stellar deal! I highly recommend Elite!" "My wife and I let some Hurricane Harvey flood victims live in our RV while their house was being rebuilt. The RV started have multiple issues. Water Heater, A/C, Some Electric issues and more. Elite RV & Car Care saved us every time! They went above and beyond. They were quick, came out to the RV and took care of the problem asap. They were reasonably priced and service was second to none. I would highly recommend Elite RV & Car Care to my friends and family." "I have an F150 with over 200K miles, so needless to say, it needs some attention from time to time. Elite RV & Car Care does a remarkably honest job of assessing the situation and focusing on the most cost effective solution. This is a family owned business and you can tell by the quality of service." "Professional, efficient, courteous! Will definitely use Elite for all my RV needs. I am so pleased with them." "Extremely impressed! Awesome new Service Manager William Staats has turned this business around! If you're looking for a straight shooter who will treat your car like their own I highly recommend this place. I don't even feel like I'm taking my car to the mechanic. More like going to see some family. William will take care of you and if you have any questions he has no problems explaining everything to you. I'm glad we have a trustworthy vehicle maintenance shop this close to home. Try them out. You won't regret it!" At Elite RV & Car Care, we’re committed to excellent customer service and satisfaction, offering a friendly, comfortable, enjoyable automotive repair experience. We accept all Major Extended Warranties. All Major Fleet accounts are accepted. Same-day service for most auto repairs. 3 year or 36 thousand mile parts and labor warranty. We service all makes or models. 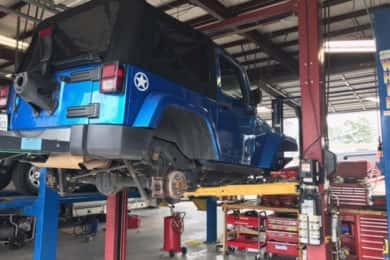 Do you service cars in addition to RVs and Trailers? Yes! We service all types and sizes of vehicles. Visit our service pages to learn more about how we can help you. What octane fuel should I use in my vehicle? Most cars are built for regular 87-octane fuel, but other vehicles with finer tuning and/or turbochargers call for premium fuel. As a rule of thumb, you should use the recommended octane rating indicated in your owner’s manual or near the gas cap. 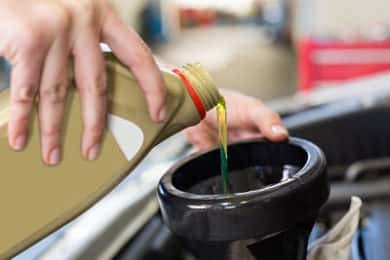 Synthetic oils for car engines are produced through a synthesis process that takes very small molecules and assembles them into larger designer molecules with premium lubricating properties. For this reason, synthetic oils are a great choice for your vehicle.